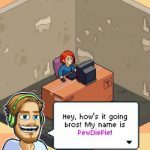 We’ve already given you some in-depth coverage for PewDiePie’s Tuber Simulator, a new Android and iOS game from Outerminds, and the second team-up between the popular YouTuber and the game maker. This game is essentially a parody and a simulation of the life of an up-and-coming YouTuber (hence the name), and it is your goal to gain more views and subscribers, create videos that resonate with your viewing public, and seek to be as popular as PewDiePie himself. Among its many features, the game comes with an option to follow other players and vote for their videos, challenge your friends in the survival arena, share your room online, and take on quests that can help you earn currency quickly. Speaking of currency, we didn’t talk much about Bux on our first strategy guide – that’s the game’s premium form of currency, and like all other premium forms of currency in mobile games, it’s much harder to earn than the common stuff. So how do you add to your Bux, preferably without having to part with your real-world money? 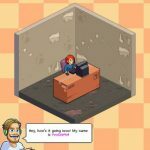 We’ll be talking about that in this new PewDiePie’s Tuber Simulator strategy guide, which shows you the various ways you can get more Bux for free. You can earn Bux for free by leveling up specific video genres, and you can do this by buying items specific to that genre; an example would be a houseplant for the Nature genre. And if you’re not sure if you’ve leveled up a genre, you can always visit your profile for a snapshot of where you stand at any given time in the game. Genres also have levels, and the lower the level is, the less experience you’ll need to level it up. Of course, it is also possible to earn Bux by leveling up your YouTube channel, and that would actually be the main way in which you can score more of that currency. Outerminds is generous enough to give away freebies to loyal players, meaning those who play PewDiePie’s Tuber Simulator every day. These prizes can be acquired only at a specific time – midnight – but there’s a way in which you can speed up the process, if you really cannot wait that long. You can use the time lapse cheat, which would require you to go to your phone’s settings, and change the time to the next day. After doing this, you can go back to the game and collect your prizes, and do this as often as you want. Or would that be as often as Outerminds allows? Take care when using this cheat, as you’ll never know when the developer cracks down on time lapsers. And for another disclaimer – you won’t get Bux all the time as part of your daily prizes. Looking for something to keep you busy while earning you Bux? Complete those quests. Yes, just like we said in the game overview (actually paraphrasing Outerminds themselves), you can head to the Quests menu and see what’s available. Once you’re done, wait for the Quests menu to flash, which means you can go and claim your reward. Just as we said in the general strategy guide, you may have to watch ad videos to unlock some quests. You may also have to unlock upgrades at the Brains store in order to have more quests to undertake. Brains are another form of currency in PewDiePie’s Tuber Simulator, and we’ve got a specific guide for brains coming up. But while we’re still on the topic of Bux, we would advise you against using Brains to expedite the time it takes to acquire a certain item. Instead, use the time lapse cheat (at your own risk) or simply wait it out. Minimizing your brain expenditures could help you earn more Bux, so be patient when the occasion calls for it. Read on, though, if you need another way to speed up item acquisition without time lapsing. Last, but not the least, the Puggle mini-game is another potentially good source for Bux. Play the mini-game when you’ve got deliveries pending, as this could earn you Bux quite often, all for a few views. 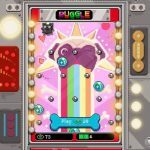 Better yet, Puggle could help pick the pace up and reduce your waiting time before acquiring any given item in the game. And this completes our quick guide for earnings more Bux in PewDiePie’s Tuber Simulator. In case you have more tips and tricks for the game, that we haven’t mentioned in this guide, feel free to share them with us in the comment section!